Pears are in season right now here in Australia, and they are one of my favourite fruits! Poached pears are a delight. These ones have a gingery, cinnamon sweetness that makes them perfect for dessert, or spooned over your breakfast cereal or porridge. You can also team them with savoury foods such as pork or chicken. They go smashingly well in a fruit crumble too. You can easily make this a sugar-free recipe. I’ve added the instructions for that below. Cut pears into wedges, remove core and peel. Wash and finely slice the ginger. No need to peel. Place water, ginger, cinnamon stick and sugar (or sweetener) in a large pot. Bring to boil, and dissolve sugar. 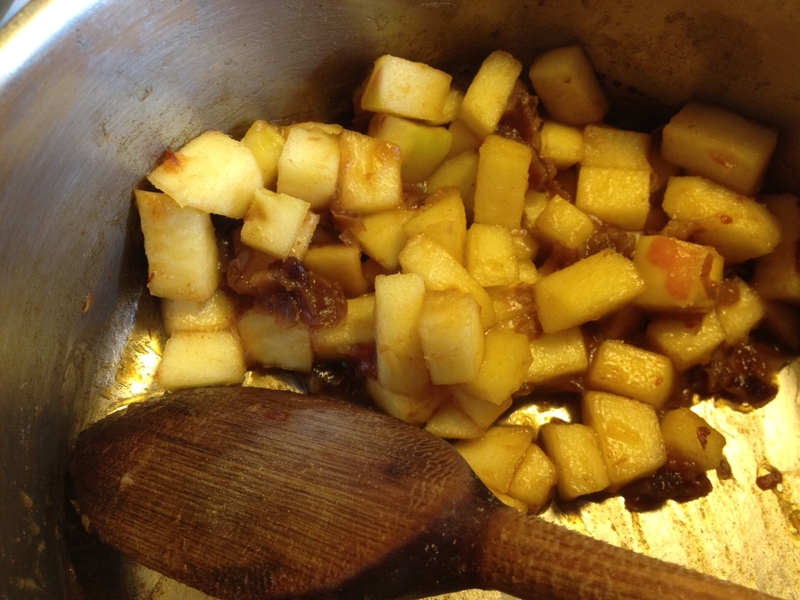 Add sliced fruit, place lid on pot, reduce heat and cook for ten to fifteen minutes or until pears are soft. Remove from heat, and take out cinnamon stick. 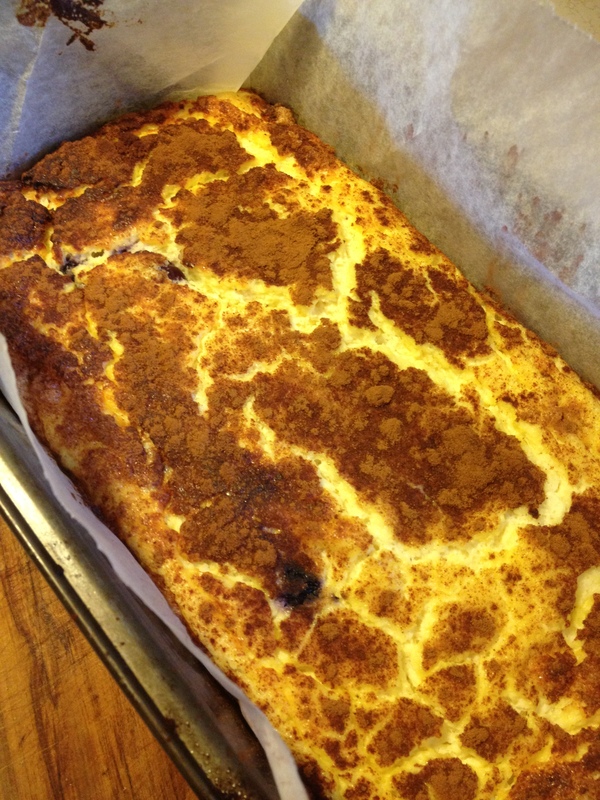 Serve on their own as a warm dessert or with coconut cream, yoghurt or fresh cream and a dash of cinnamon powder. For a fancy winter dessert, serve with a really good vanilla ice-cream. The pears will keep, refrigerated, for one week. Persimmons are one of my favourite autumn treats. I use the non-astringent variety for this recipe. These fuyu persimmons can be eaten crunchy like an apple, or left to soften so that the interior of the fruit becomes jelly-like. This recipe works best with fruit that are firm and ripe, but not yet soft. Eating this dessert is decadent luxury, but it’s a healthy one! Persimmons are high in B group vitamins, vitamin C and anti-oxidants, especially those that are anti-tumor and anti-inflammatory. The baked persimmon is soft, fragrant and luscious, and the topping is sweet, crispy and well textured. Teamed with some cream or ice-cream it’s a show stopper! Baked persimmons are very easy and this recipe that works beautifully as a hot dessert, but also makes a tasty breakfast served warm or cold with yogurt. *This recipe is sugar-free and gluten-free. It can also easily be made vegan and dairy-free. Wash the persimmons and pat dry. Use a sharp knife to cut the leaves and a small disk of fruit from the top of each persimmon, creating a small depression. 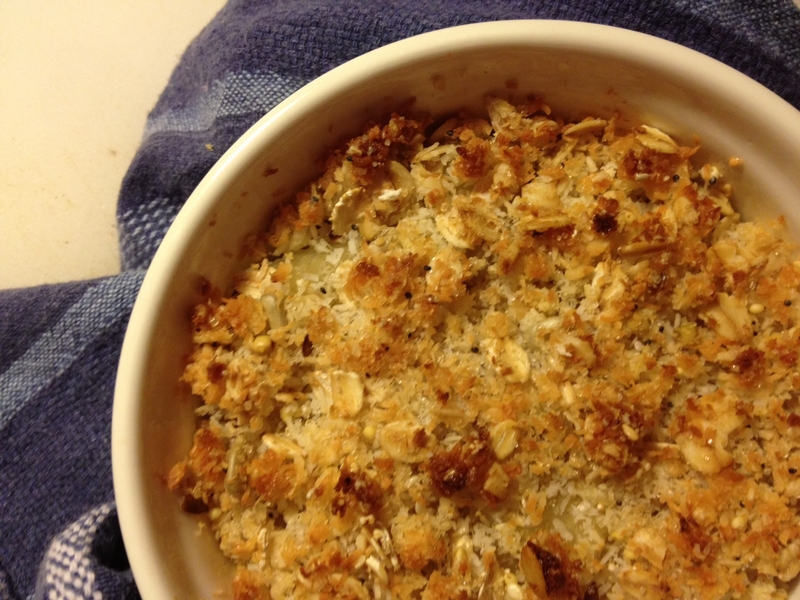 To make the crumble topping remove the seeds from the dates and cut into small pieces. 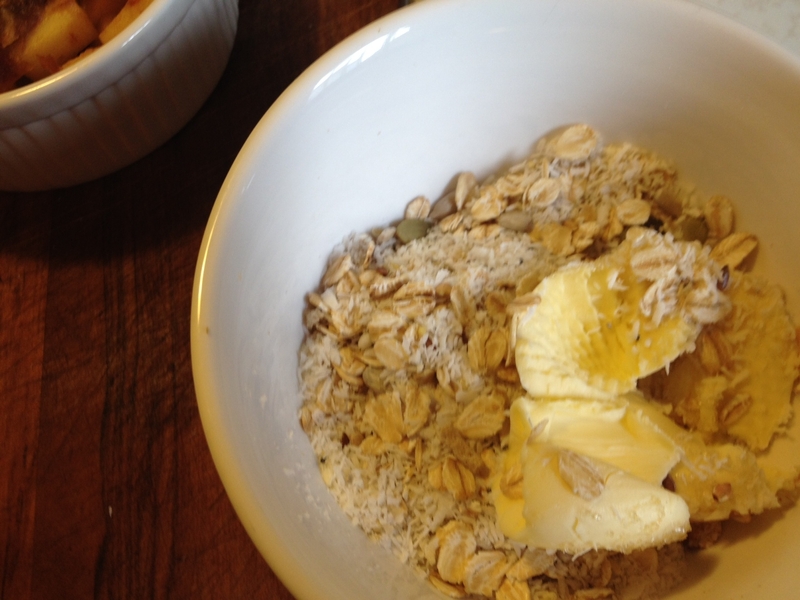 Mix together with the butter, almonds and almond meal, coconut and cinnamon. 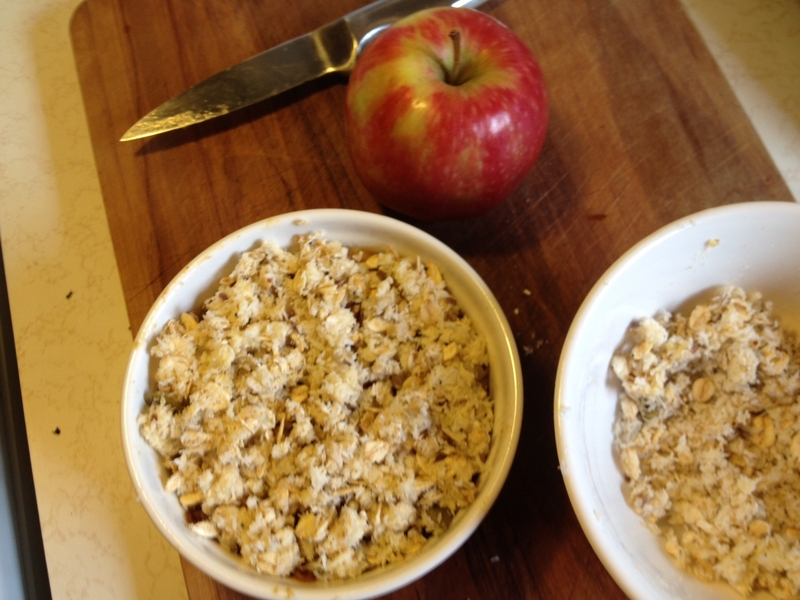 Divide the crumble mix into four, and mound into the centre of each fruit, pressing down softly. Place persimmons in a small ovenproof bowl. Mix the hot water, honey and cinnamon together and pour into dish, being careful not to get any on the crumble topping. Place into the oven and bake for forty-five minutes, or until topping is golden and crispy and fruit is soft to the touch. Serve with thick cream and a drizzle of honey. A good ice-cream or yogurt is also a yummy serving option. Mine was served with double cream, honey, and a couple of gluten-free almond bread biscuits. One of the not-fun parts of being unwell, or being on a restricted diet, is that treats seem to be harder to come by. So many desserts are crammed full of sugar, grains and fats. Or they have twenty steps, weird ingredients and you need specialised skill or equipment to replicate the results at home. If you can eat dairy, you’ll find this fits the bill. Low fat, made without sugar and grains, and high in protein, it’s suitable for people following High-Protein Low-Carb Diets, for diabetics and for anyone who is gluten-free. This is a wonderful dessert. But you can also feel quite happy about eating it for breakfast, as a snack, or following a big bowl of salad or vegetables as your protein fix. And if none of these things apply to you, make it and eat it anyway – because it’s yummy!!! 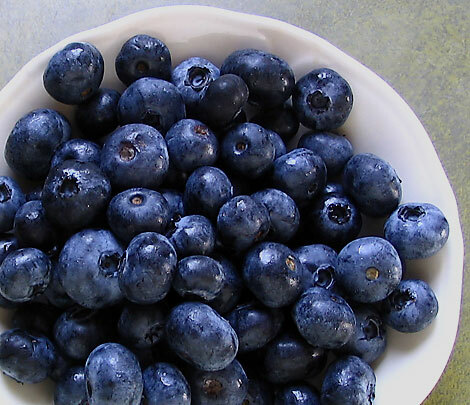 I’ve used some fresh local blueberries for this recipe, but frozen ones work perfectly well too. 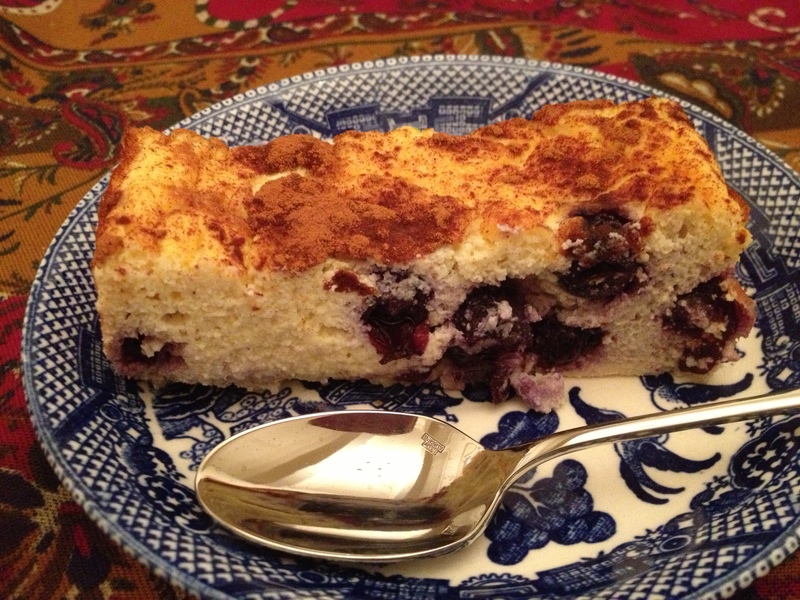 500 grams (2 cups) Ricotta Cheese, 3 eggs, 5 teaspoons of Natvia ( a stevia based sweetener), 1/2 cup of blueberries (fresh or frozen) 1 teaspoon finely grated lemon zest, 1 teaspoon vanilla, 1/2 teaspoon freshly grated nutmeg, 1 to 2 teaspoons cinnamon. Separate the eggs, and put the whites into a large bowl, and the yolks into another bowl with the ricotta. Beat the egg whites until they form stiff peaks. Whisk the yolks, ricotta, vanilla, lemon zest and nutmeg together. Fold in the berries and then gently fold through the stiff egg white. Pour into the pre-prepared loaf tin. 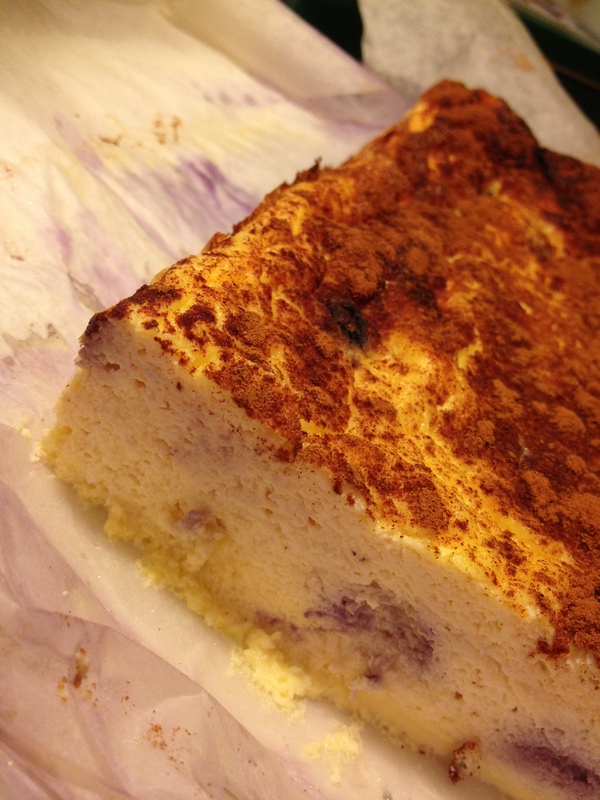 Bake cheesecake for 40 minutes. Mixture may still be a little soft to touch but will firm up as it cools. Remove from tin when cold. Eat on its own, or with your favourite fruits and toppings. Store in the refrigerator. Note: Don’t be alarmed if this weeps a little as it cools. Simply drain the liquid away before you store it. I keep mine loosely wrapped in the paper I baked it in, on a plate in the refrigerator. The cheesecake will keep for a week, but it probably won’t last that long! 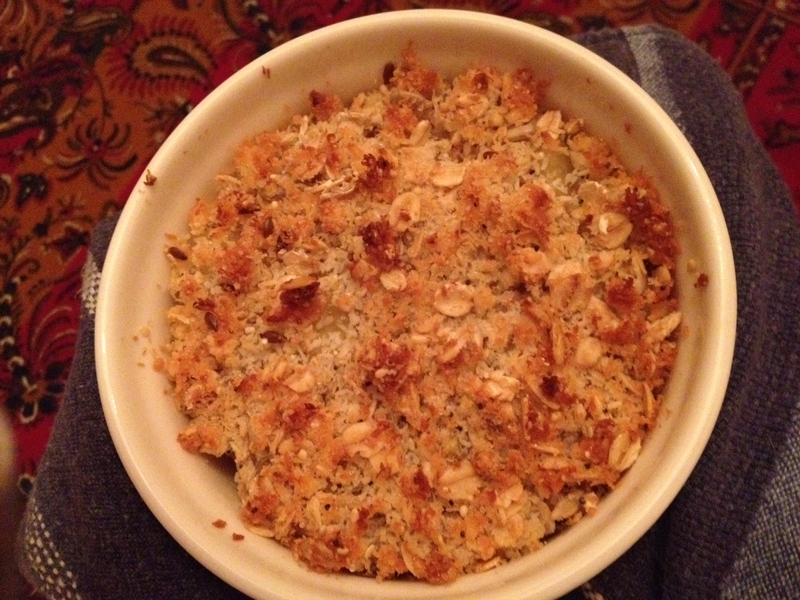 Nothing says comfort food like a baked apple – easy to make and good for you too. 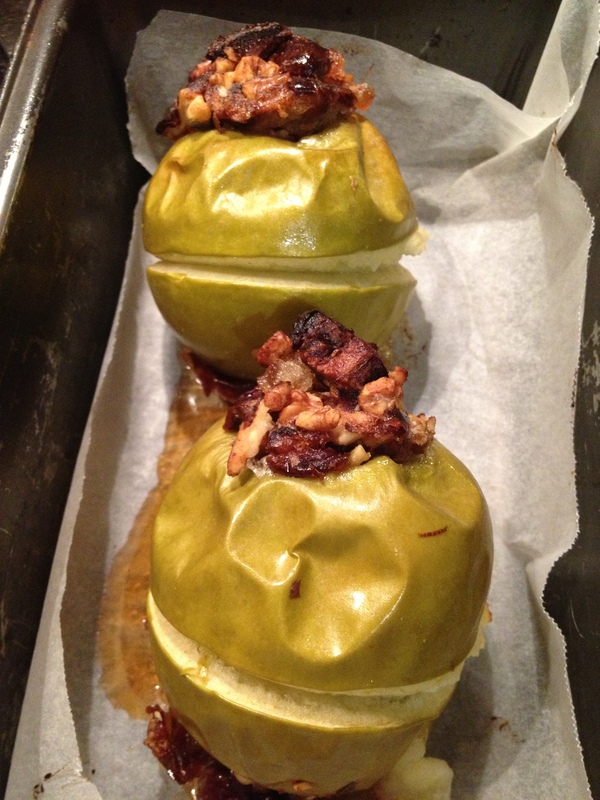 Traditionally my Nana stuffed apples with a butter, sugar, oats and sultana or currant mixture. My version still tastes sweet and delicious but is dairy, sugar and gluten free. Trust me – no one will think any the lesser of you for omitting all that other stuff. They’ll be too busy eating! Soft sweet medjool dates and ginger give a lovely caramelly texture and zing, and walnuts – well it just wouldn’t be the same without them. 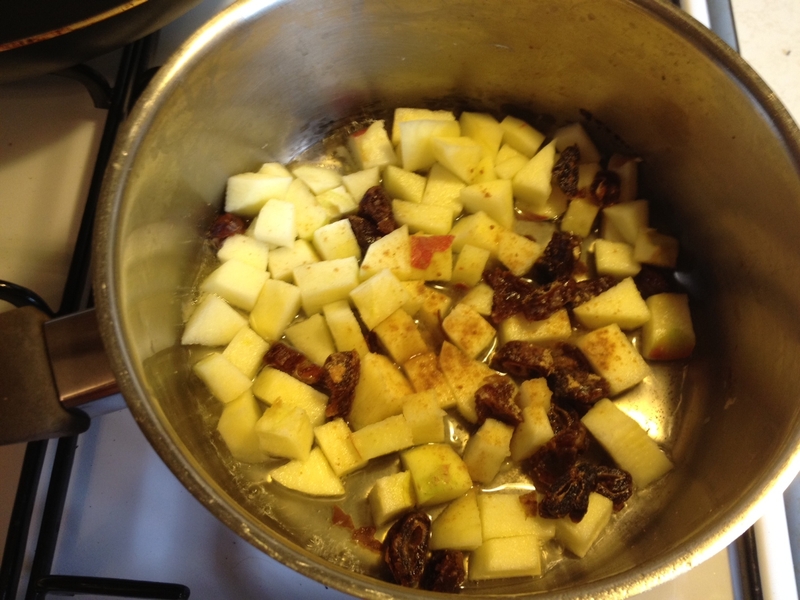 Ingredients: 1 x cooking apple per person – I like Granny Smith Apples for this; plus 2 medjool dates, a tablespoon of walnut halves, a piece of glace ginger and a squeeze of lemon juice per person. Note: If there is still too much sugar in the glace ginger for you, trying adding a little extra date and some powdered ginger. Method: Preheat oven to moderate (160 degree celcius fan-forced or 180 degree oven – 350 degrees fahrenheit). 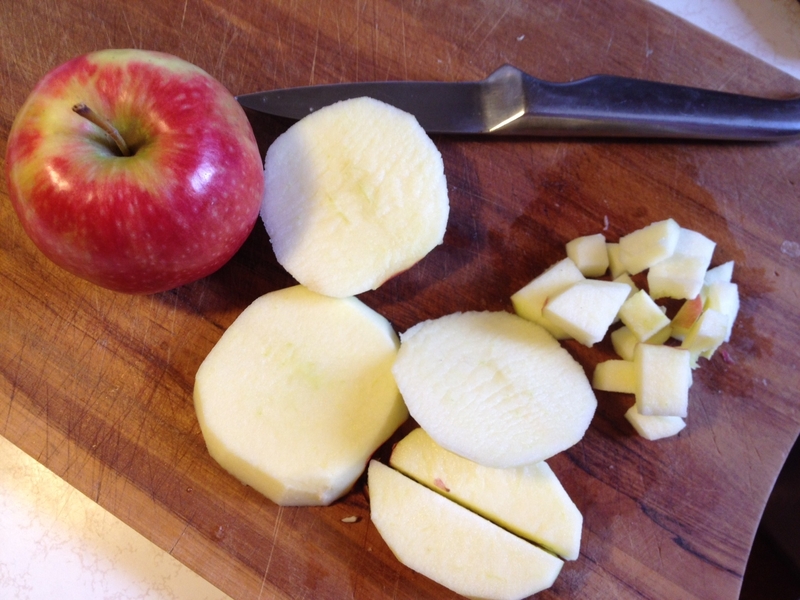 Using a sharp knife or an apple corer, remove the core of the apple. Then take a knife and run it around the circumference of the apple so that you just break through the skin. This is important so that your apple doesn’t explode when it is cooking. Chop your dates, ginger and walnuts and combine them in a bowl with the squeeze of lemon juice. Mix them well together. 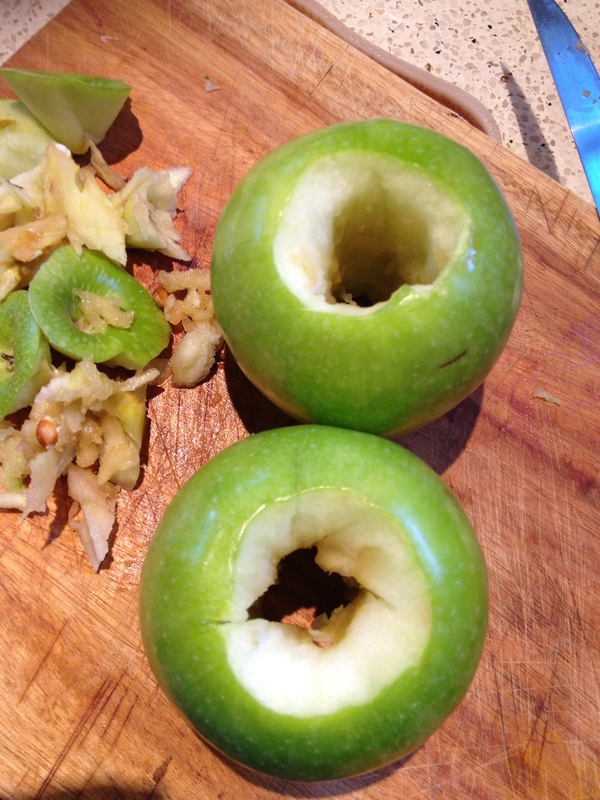 Now press the mixture into the empty core of each apple. Start by filling the bottom, pressing the mixture in firmly. Then turn over and place into an oven-proof dish. (I find a piece of baking paper helps with easy clean-up.) Keep pressing filling into the core until it is filled to the top. Mound a little extra over the hole, pressing down well. Bake in a moderate oven for 45 minutes. To serve, simply place in a bowl and eat. They go very well with a dash of cream, custard, some yogurt (try coconut yogurt if you’re vegan or dairy free!) or a good ice-cream. 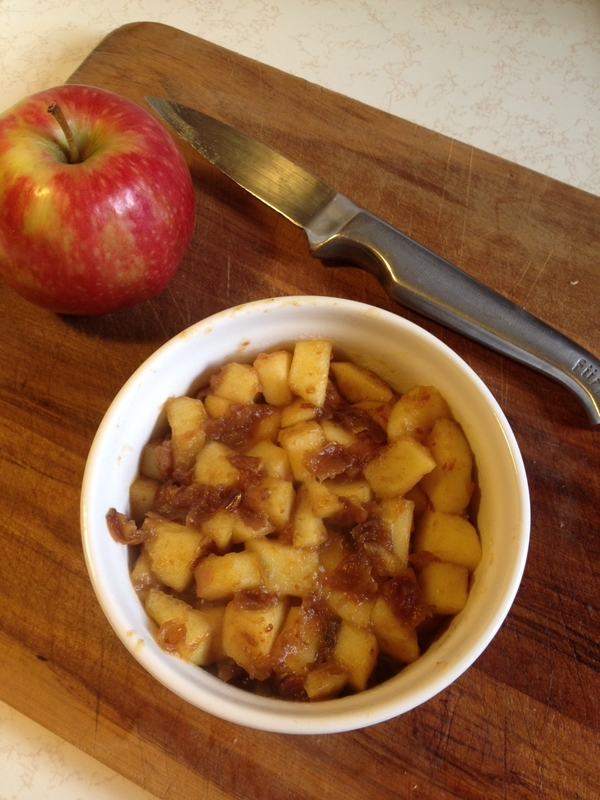 Baked apples are a terrific dessert but do try them for a warm breakfast on a cold morning. Super Yum Delish! Vegetarians and vegans can substitute an equal amount of agar agar powder for the gelatine. Ingredients: Four oranges, plus one or two extra if you would like to have orange segments suspended within your jelly. 4 tablespoons gelatin, 175ml (1/2 cup) of water, 175ml (1/2 cup) hot water, up to 4 tablespoons of castor sugar OR a sweetener of your choice. Pare the rind from the four oranges OR zest them if you like a textured jelly. 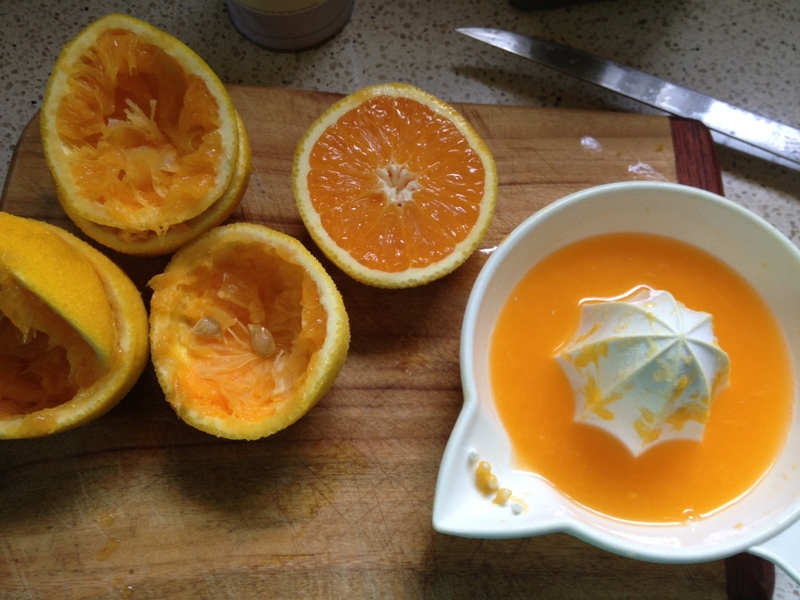 Place the rind/zest in a saucepan with the half cup of room temperature water. Simmer for five minutes to transfer the orange oils into the liquid. If you chose to use rind parings remove them now. Now juice the four oranges, remove the seeds and add to the water in the saucepan. Test for sweetness and add sugar or sweetener to taste. In the half cup of hot water dissolve the gelatin, letting it sit for a minute or so until all lumps have gone. A fork works well for stirring this! Add the gelatin mix into the saucepan of liquid and stir through. If you would like to add orange segments to your jelly ( a delicious textural addition and well worth the little bit of extra effort), use your additional oranges for this. The youtube clip below shows the easiest way to do this. If you are going to present your jelly in a bowl you could keep some of these segments for decorating the top of your jelly after it has set. Make sure you have removed any seeds/pips from the segments before you add them to your jelly. Don’t add any extra juice though – just the flesh. *At this stage you may like to add a dash of Cointreau or Grand Marnier for a tasty adult dessert. Up to a tablespoon works fine. Lastly, pour the jelly into a serving bowl or a wetted mold. 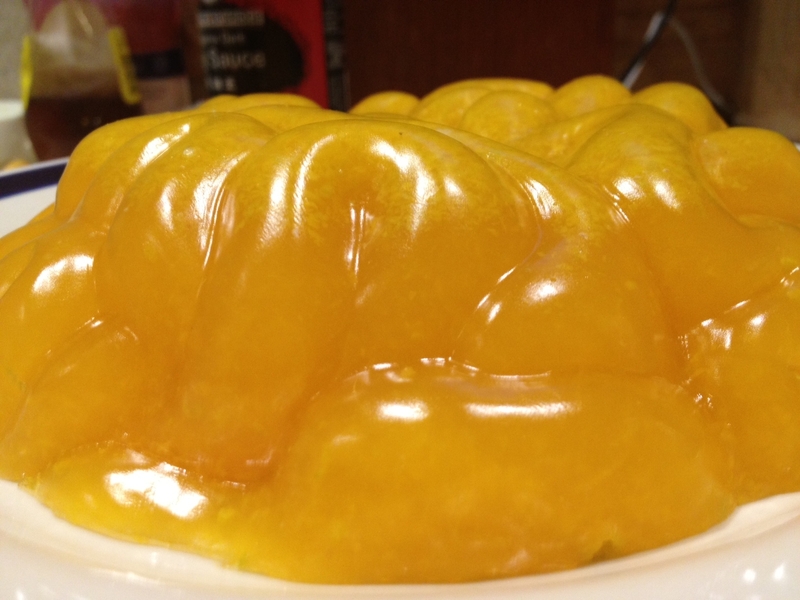 (If you wet the mold first it helps the jelly come out easily later). 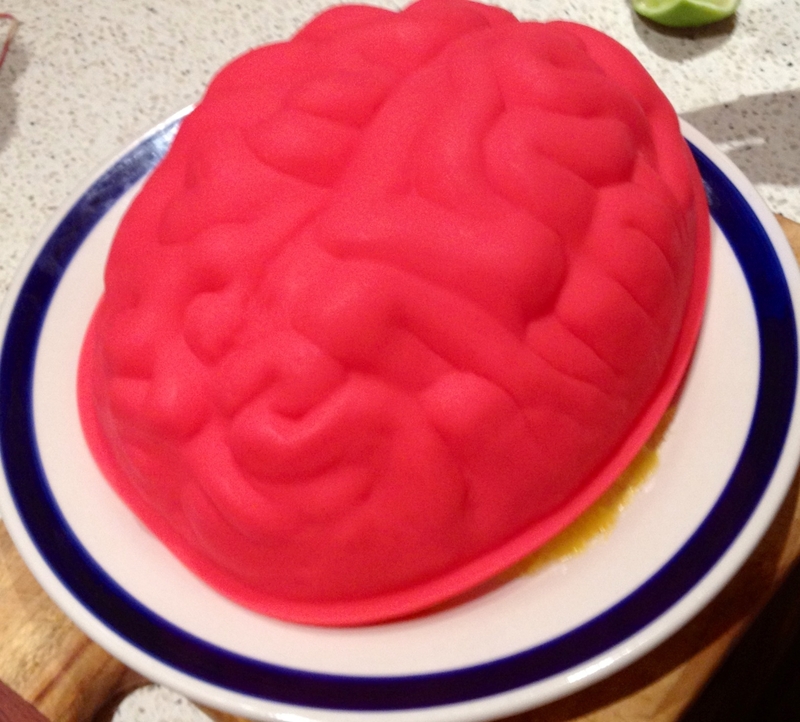 I was recently given this funky silicone brain mold, and had been looking for a reason to try it out, hence the brain shaped jelly at the top of the page! Cool in the refrigerator for four hours or until firm. This jelly sets much firmer than a conventional packet jelly. You could actually slice it to serve if you wished. It goes well with a good vanilla icecream, or you could whip a little cream and toast some almond flakes for a fancy finish. I actually served this jelly with coconut milk yoghurt, for people who can’t eat dairy. Coconut cream would be another good choice. It makes an excellent flavour combination. Enjoy!